Ornament with Snowflake Drawings #3DThursday #3DPrinting « Adafruit Industries – Makers, hackers, artists, designers and engineers! 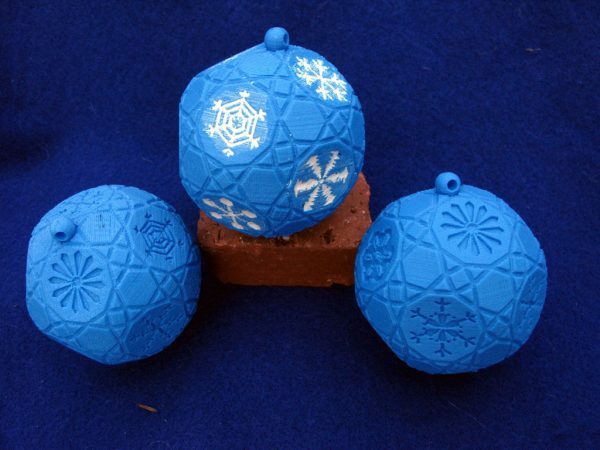 A polyhedron decorated with 12 snowflakes drawn by hand. The snowflake drawings were copied from plates contained in a copy of “Snowflakes: A chapter from the book of nature”. It was published in 1863 by the American Tract Society in Boston. The plates are dark blue with white snowflake drawings.